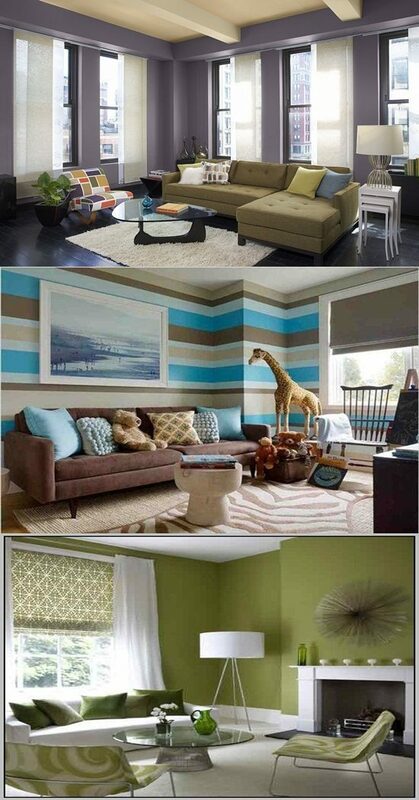 Most people don’t have enough courage to choose wall colors for the living room. 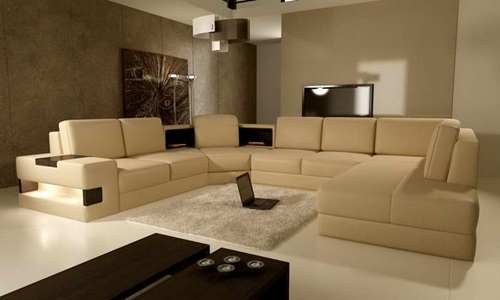 So we find that most people go with neutral colors for their living room. 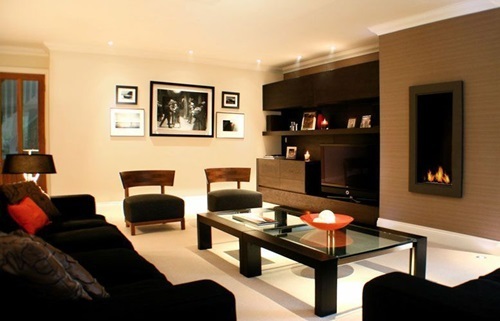 Your living room is a place where you spend most of your time in whether relaxing or meeting your friends so you should go for more eye-catching colors. If you want to turn your living room from a dull place into an interesting one, paint your living room walls in lime green, sunshine yellow or muted orange. If you have had a tough day and want to get some relaxation, then nothing can beat blue color as it creates a tranquil effect in any room. Likewise, blue can make your living room looks absolutely stunning, but you should opt for the right shades of blue such as sea blue, slate blue and eggshell blue. On the other hand, if your living room isn’t big enough, then go with paint color combinations like cobalt, icy blue or turquoise as they reflect more light and create a spacious look. To impart a cool ambiance to your living room, then you should paint your walls in a combination of aubergine with gray, by doing this, life will be easier in your living room. If you are looking for trendy colors for your living room, then all that you need is using lighter shades of green, such as sea green or lime green. Keep in mind that you can use darker shades of green like sage green, olive and moss green for accent walls. 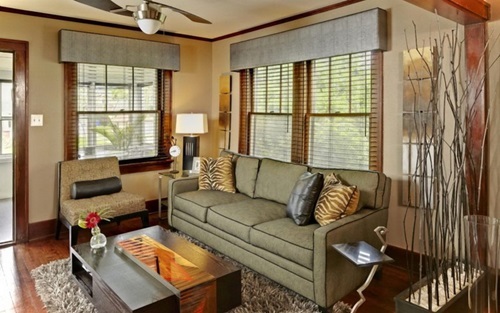 Finally, make sure that your furnishings and your accessories are complementing your living room color scheme. 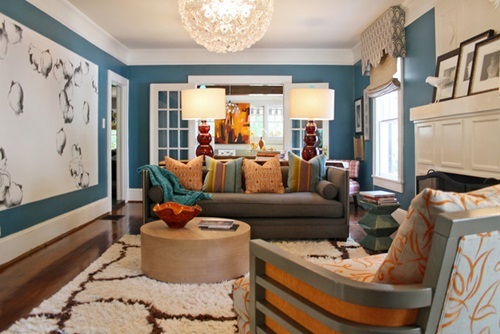 If you are searching for more suggestions about living room paint colors for 2013, look at the images below.